Weddings have always been one of my favorite events to plan. They are time consuming and stressful but all the DIY touches that you can do just make the day even more special. The first ever DIY wedding I planned was my very own. I think it started the addiction. 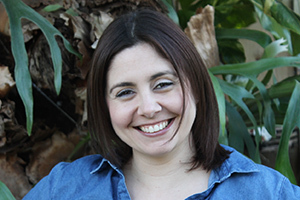 Of course this was way before I knew about blogging, and Pinterest was not even on the radar. Thinking about it now, that is probably a good thing since I’m sure I would have gone a little nuts. My wallet thanks me. I decided to dig out our wedding box from the closet to take pictures of all of our goodies from our 2005 wedding. We bought all of our paper supplies from Paper-Source, and another place that seems to have gone out of business. Paper-Source has a beautiful assortment of paper and once I used them for our wedding I was hooked. These are the envelopes for the save the date (left) and invite (right). The colors in this particular photo came out a bit off but I’m too lazy to take the picture again. The others ones in the series are truer to color. 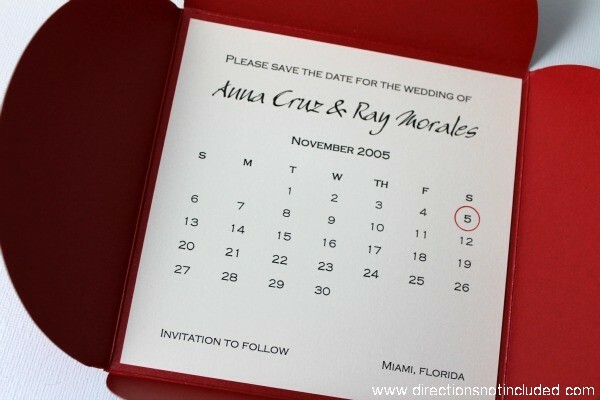 I designed and printed the save the dates at home. No fancy design programs or printers – just Word and a regular old laser. Here is a glimpse inside of the invite pocket fold. 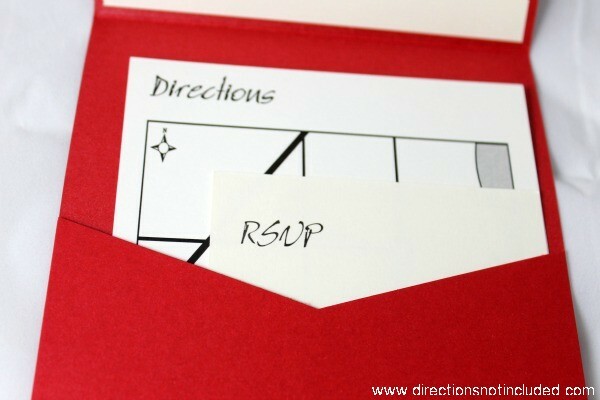 The top part had our invite and the pocket held the directions and RSVP card. Being married to a potter has its perks. Ray made over 150 bowls for our favors. 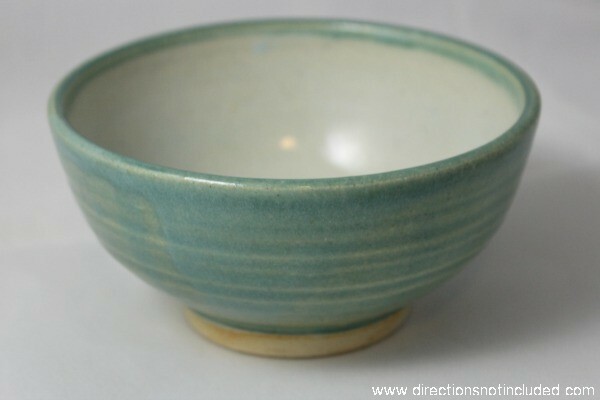 Red is a really hard glaze to get right in the type of kilns he uses so we went with a light turquoise since it is my favorite color and went well with our beach wedding. 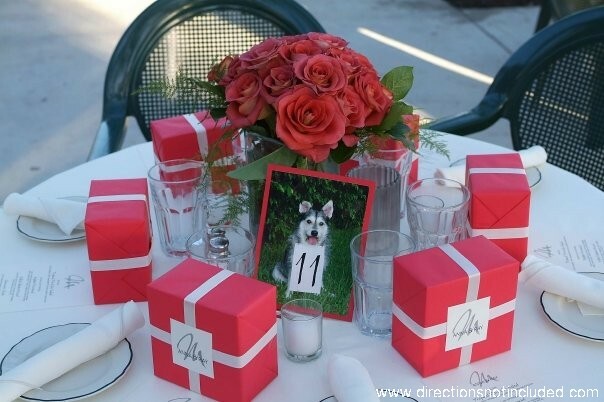 Here are the tables with our favors all wrapped up, menus which I designed and the table numbers with my favorite furry boy. Isn’t he the cutest? I wish our photos had pretty chairs in the background but alas a hurricane hit right before the wedding and those were some of the casualties of the storm. I didn’t have anything to do with the flowers but I did love my bouquet so I’m adding a picture of that too just for kicks. 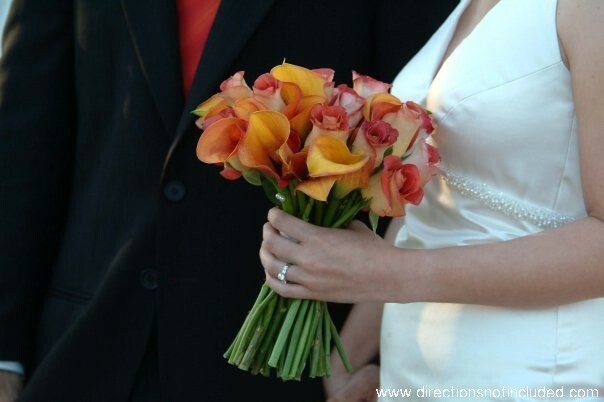 Did you make any details for your weddings? Was it before or after the age of Pinterest and blogging? Do you think there is more pressure for weddings being planned now? P.S. 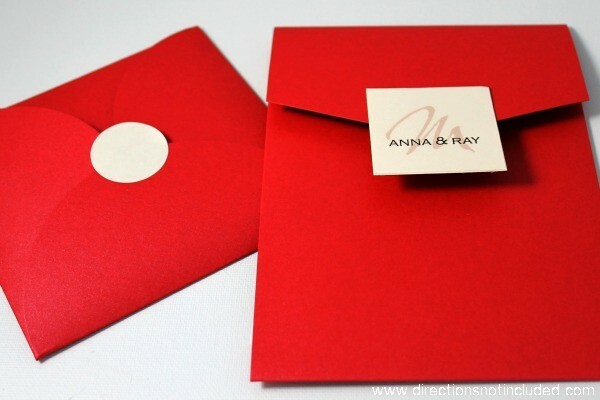 – If you are thinking of planning a wedding or other event where you need to buy paper in bulk check out Paper-Source to get 30% off Paper Source solid paper & envelopes when you buy 50 packs of the same item, in the same color! P.P.S. 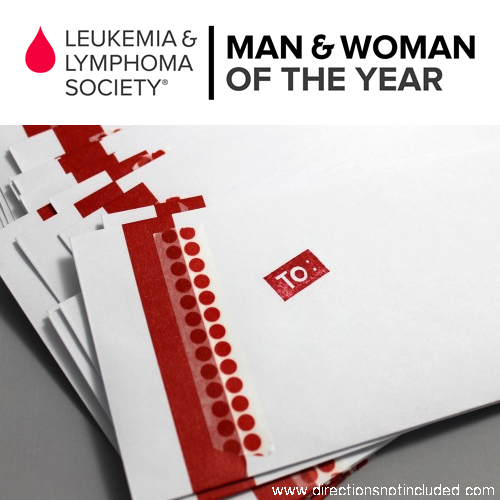 – I hope you don’t mind, now through the end of this campaign in April, I’ll be reminding you all to help me share and collect funds for the Leukemia and Lymphoma Society’s Man & Woman of the Year Campaign to support my friend, Rachael Witte. Help us raise money for this important cause! These are just beautiful!! Two Artist make a hell of a couple!!! How pretty! I love weddings and the personal touches just make them even more fun. I did the invites and bouquet but our wedding was tiny (17 people total). I think if Pinterest had been around I would have been completely overloaded. Even with just wedding mags I think I changed my mind 3-4 times in the year we were engaged. Emily! A 17-person wedding is a dream to me! I didn’t realize it was so intimate. It is a good thing we did not have Pinterest – I could not decide on anything! the dog on the tables is my favorite part!!! i love that personal touch. Your invites and Save the Dates were gorgeous! The only thing we did was the favours, small clear boxes of jelly beans, not quite as classy as the beautiful bowls your husband made:) I didn’t even consider making my invites and now I make wedding stationery for others! I think my wedding would have been an awful lot more expensive if pintrest had been around! How exciting! The cards look beautiful!